I love blogs and I love blogging. There are so many different types of blog and I’ll give you examples below. Not all blogs are created equal. Some blogs focus on personal issues, some blogs tackle tough topics while others go the funny route and do their best to keep us laughing along the way. 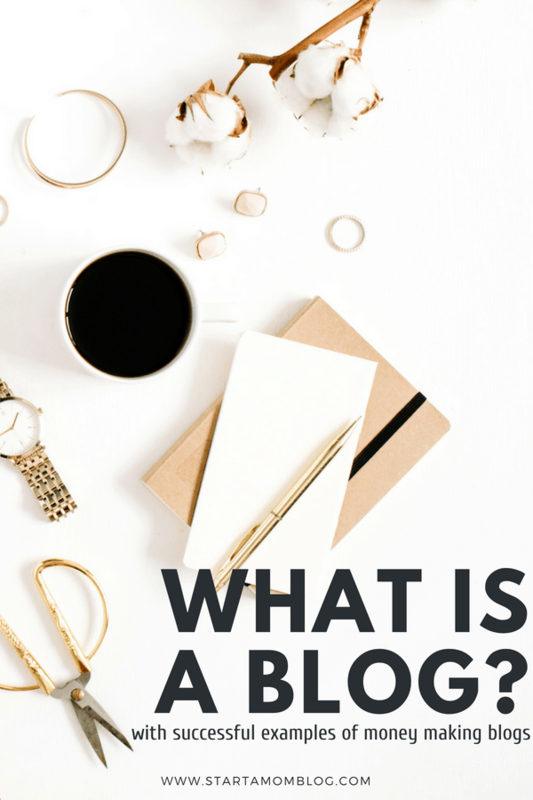 I have a little secret about blogs that I’d love to share with all of you….but first, let’s really dive into the nitty-gritty about what exactly a blog is. A blog is an online website that is managed by an individual. There are larger blogs have teams behind them. But most of the time a blog is a place for an individual contributor to share his or her expertise with the world. In a nutshell, a blog is a piece of written information found in the virtual world that others seek out and read. Anytime you’ve read a review about a product or service online that doesn’t come directly from the company, you’re reading a blog. If you’ve ever been scrolling through Facebook and an article that you saw caught your eye, that’s more than likely a blog. The key point to remember about blogs? They are all different. However, in stating that, it’s also important to understand that the foundation of blogs is all very similar. All blogs are an online resource that helps answer questions or give advice. Many people read blogs to get information about a topic or to see if a question that they’re wondering about can be answered. And for the most part, most blogs out there can help answer those questions. Like I mentioned earlier, a blog is meant to be an informative read for people interested in learning more about certain topics. To me, that’s the main purpose. Blogs are used to drive traffic to your business and website. And a well-written posts with a ton of great information will drive visitors to your site over and over again. Blogs can be funny as well. You can show your true voice and connect with your audience. Just make certain that you find the balance between being helpful and humorous. This is my bread and butter. THIS IS WHAT I DO! I’m just so happy to be sharing this information with you. The first step in wanting to start a blog and make money is to understand that it will take time. My “job” (and I put that in quotations because doing what I love never feels like work) is to help bloggers get started. I take pride in the fact that I present information in an easy to use format and break it down step-by-step. And ladies…I’m proof in the pudding! My story? I was able to leave my job, start a parenting blog, teach others how to start blogs (with success!) AND…drumroll please…retire my husband at the age of 30 as well. I PROMISE you that if you want to start a blog and make money, it can happen. Understand that this took time, effort and a lot of persistence…but it still happened and my life has been forever changed. Before anything, you need to figure out what you want to blog about. Stop whatever you’re doing right now, grab a piece of paper and jot down 20 topics that you feel you are knowledgeable (if you can’t think of anything, check out some ideas for blog posts here) about and that you can share with others. 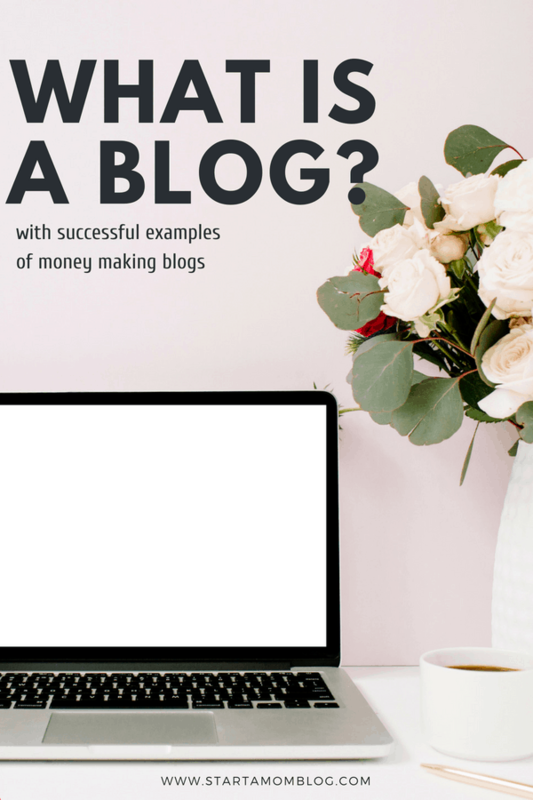 I can’t give you all the amazing details in this post, but if you are wanting to find out even more about how to start a blog and make money,you can read all about it here. People start blogs to share their ideas with the world. We live in an amazing time in history. Anyone can start a blog for under $5 a month. Think of a blog as your personal online store. The larger following you build with your blog, the more customers you have lined up outside of your store. When you launch a new product or service, you already have thousands of people who love your voice and your ideas. Blogging is a brilliant way to build a network and set yourself up for great success. Even if you don’t launch your own products, you can promote products you are an affiliate for and receive high commissions. So please…don’t put that thought in your head and let it defeat you before you even get started. If you want to start a blog, just know that I’m here to help. I promise that I want you to win and succeed and I’ll be cheering you along every single step of the way. I want you to do so well, my entire focus and blogging business is about helping people just like you! Blogging can become a part-time or full-time income or can be a hobby if you choose. Your mindset and your drive will determine the path of your blog. My quick tips for blogging for beginners? Always have fun – blogging is about sharing, experimenting and expression. The list is long. There are blogs on fashion, food, finance, family, kids, parenting, fitness, pets, travel, crafts, faith and pregnancy. If there are more than two people that like that topic, there is a blog on it. There is even a blog on basket weaving. If you want a big list of blogs by moms as examples, check out this list of what to blog about, ideas to make money blogging and lifestyle blog examples. What are some blog examples of different types of blogs? But the truth is, it’s a good idea to check out and read some other blogs to get a good idea and feel of the blogging world. Again, with millions to choose from, I just narrowed it down to a few that I think are fun, inspirational and informative. I’m putting my blog first here as an example of a blog that showcases how you can stay at home, and make money. I offer advice, printables, courses, information and support for each person who trusts and invests in me to help. They Call Me Blessed is an amazing blog focusing on homeschooling and RVing on the road. It’s also quite inspirational and very informative. There’s even an option to sign up for her course to learn Hebrew! One of the more popular blogs out there focusing on living frugally and traveling the world. In fact, the success of Making Sense of Cents has allowed her and her husband to spend time traveling the world in an RV, and now they are traveling around and exploring the water in their sailboat! Calling all moms, dads and kid craft lovers! Red Ted Art is a wonderful resource kid craft blog that you can find almost any type of craft to create with your little one. If you’re looking for more, here are 30 more blog examples. Can I make money from a blog? Yes! You can make a ton of money from blogging. But it does take a lot of hard work and a lot of time. If you are dedicated and committed to growing a following, your blog can make you thousands in less than a year. Here is a list of 53 blogs that publish blog income reports. Great question. If you’re looking to start a blog and make money, you’re probably also wondering how bloggers get paid. There are actually several ways that a blogger can earn money from their blog. Products – you can create your own products, such as an ebook (here is mine, Blog by Number), a course or a service. Sponsored Posts – you can sign up to write a blog post on a specific product or service. And in exchange for your time and promotion, the company of the product you promoted will pay you. Affiliate Marketing – many companies offer affiliate programs. If you love their service, you can become an affiliate. They give you a special link to their product. And if someone makes a purchase by going through your link, you get a commission. Ads – these are the ads you see on websites. And these are just a few ways that bloggers can get paid! I’ve broken it down in this post about blog income reports to really show you all the awesome potential! It all depends on how much time you want to invest into your blog. But most successful blogs take over 10 hours a week to run. I personally spend about 4-5 hours a day on my blog. And when I’m really passionate, I’ll put in more hours. It all depends on how well I can manage my time with my kids. If they are up all day, I don’t get to my computer. So I take advantage of the days when their nap schedules line up. I know that sounds like a lot and it is! But I started blogging with the full knowledge that this hobby will take time. From day 1 I treated my blog like a business. And if you are serious about it, and you put in the time, you can end up making thousands from your living room too. Can I blog from an iPad or iPhone? Yes. You can write blog posts on the WordPress app. You can also promote your blog on social media. And you can answer emails or comments from your phone. For a majority of blogging, you can do it all from your hand held devices (answering comments, replying to emails, drafting posts, creating social media posts, sharing to Pinterest, etc). But the initial setup and continued maintenance of a blog requires a computer. I know I’ve mentioned this a time or two…but I’ll never get tired of saying it. I truly do love blogging. It’s changed my life in every possible way. I now know that I can wake up, and work at my own schedule and pace. I know that I hold the keys to creating my own success…and when I need to take a break, I take it. I love not having to ask for vacation days and wait for approval…or worse yet, have to miss out on outings and adventures with my little ones. Every day that I’m able to do what I love doing, I know I’m truly blessed. And this, my friends, is what I want for you. I want you to be able to wake up in the morning with a smile on your face knowing that you get to spend your time doing what you want. Feel like working for a few hours then going for a run in the middle of the day? Guess what, you can. Now that you know what a blog is, it’s time to take charge! We’ve gone over the question of “what is a blog?” and all the possibilities of how to make it happen. Guess what? It’s time to take action and take charge. Every second that you spend thinking about your blog, you’re missing out on the potential to make it happen. When I said earlier that overnight success doesn’t happen…it’s true. But what can happen overnight is your ability to take the first step towards creating your own success. There isn’t a day that passes that I don’t thank God for starting a blog. And did I feel overwhelmed in the beginning? Absolutely. Some days, I still feel that way. However, the more that I’ve blogged, the more that my confidence has grown, too. I can say with certainty, that blogging has completely changed my life! How amazing is that? It’s a wonderful feeling to be able to do what I’m passionate about every day, all with my kids and hubby at home. Will you join me on this blogging journey? My hope and want for you is to let your passion and your creativity shine brightly, too! When it comes to starting your own blog, what do you find is the biggest thing holding you back?